Same brother that apparently lives across the country and never talks to him? We arrest them just the same. Or shoot them just the same. We prosecute them the same, and we execute them the same. If they've committed a mass murder, they've forfeited the right to choose the consequences. If his stuff had been in cases and boxes, no one would have known what it was. And even if anybody had seen it and inquired, he could have said he was a dealer in town for a gun show, and nobody would have blinked. Las Vegas hotel maids see weirder stuff every day. Somebody murders 58 people out of the clear blue, I don't gas what their major malfunction is. First there is 43 shots fired, then 5, then 33 .. average fire rate for bursts are: 11.2, 11.6 and 12.7 shots per second, 672, 696, 762 shots per minute. Seeing it on the time line it's not that much regular after all. But then it's recorded on receiving end, and it's mainly bullet sonic cracks (imho), so it would be affected by variability of bullet speed. Anyway .. that's seems kinda slow. Wiki states M-16 is rated 700-900 per minute, and 600 for AK-47. But that's for army issued variants. Firerate would be affected greatly by components used. What's interesting is that those are really long bursts .. but then 50 round magazines are not that uncommon. You're not answering the question, though. Should we not wait until we know motive or illness before we dehumanise this guy? I mean, yeah, if he wasn't sick in the head, he was a monster, but let's wait for more data, yes? Just make sure you get the right guy, and identify everybody who might have helped him. I estimated 800-2000 feet based on the distance from the hotel to the lot the concert was in. I'll have to say the range is at the low end of my estimate based on the pic in your link. I wonder if some people were hit by ricochet. From that angle a bullet might glance off pavement. Is the audience on a paved or solid surface? Yes, that and the media's heavy emphasis on 'the death toll', and 'the worse gun massacre ever in the USA'. It simply encourages future suicidal nutters to try to get into the record books trying to surpass this figure. Gun control does not (and cannot) guarantee we'd avert one of those tragedies, but to the extent you stop a Paddock, you're going to ruin weekends for MILLIONS of gun owners. Will people focus on that? No, just this one weekend in little Las Vegas. Stampede may also have been responsible for a number of casualties. Another consideration on the distance is whether the "32nd" floor is as high as one would expect. I know they avoid certain floors, at least. I remember staying there once and counting fewer floors from the pool than the floor we were staying in. But I may have been drinking. Read my post up thread - those numbers are based on the basic mechanical cyclic rate of the firearm, and not an actual real world tested cyclic rate. If a weapon is fired at the mechanically possible cyclic rate it won't last very long before it will self destruct - lots of videos on you tube show various AK's and AR's fired at cyclic rate to failure - It wouldn't necessarily concern one of these nutjobs but IRL it's an absolute consideration for legit end users. There are all sorts of feeding devices that you can spend money on, but outside of the various former combloc drum mags for AK platform rifles the over 30 round capacity feeding devices are not generally reliable enough for service use, although various criminal shooters have used them, usually unsuccessfully. If this shooter was using an AR platform, it's entirely possible that they may have prepared by having a hundred or more loaded standard 30 round mags ready to go and went through those ready mags before he called it a night. 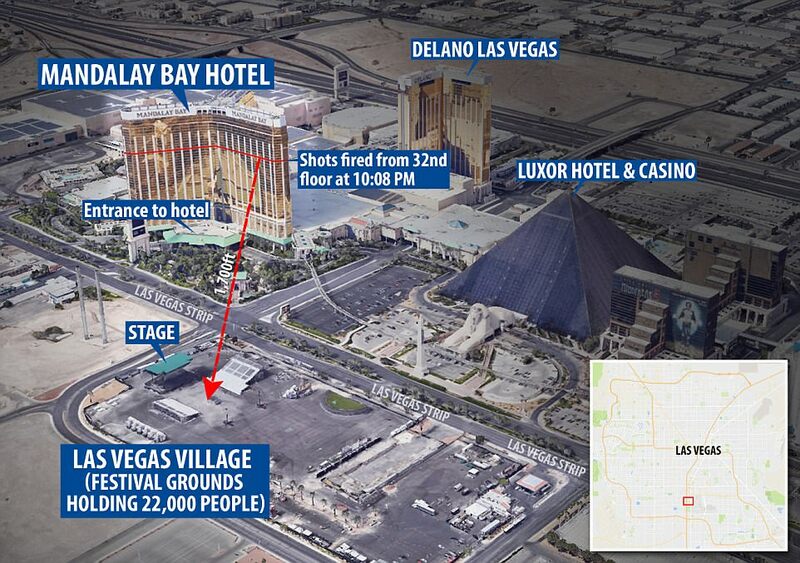 CNN had a Las Vegas law enforcement person report there were shrapnel injuries. Well I doubt anyone of these millions gun owners will actually die because they can't plank. But then this guy clearly used guns which are already illegal. Magazine sizes looks like easy target .. but then those are easy to get around, and there are already tons of them in the wild. Focus should be on how he got them .. They haven't addressed that yet, but completely reasonable assumption. If you want to argue we should treat those with mental illness differently, I will be persuadable in many cases. But the time for that is BEFORE mass murder. If we want to go there, we need better diagnostics, better health care, better prevention techniques. After, they're gone -either literally or figuratively, and IMO the next step is damage control; which includes preventing anyone else from taking a cue for gaining the attention and social image they perceive comes from these acts. "Yeah...ol' Stubby thought he had a good plan, but like everything else in his life that night, it fizzled. There were 20,000 people at that concert, and he wasn't able to kill even 60. There are a few more injured, and a lot of carpets to be cleaned, but everyone else in Vegas will just enjoy an ordinary day"
"Oh, it's terrible news...little Rebecca was a wonderful girl, and the whole world will miss her. She was in college, was active in several sports, and volunteered at the soup kitchen on weekends. The whole world will miss Rebecca." Why? What's your argument, exactly? I don't see how any of that supports your earlier claim. The issue of insanity defense is terribly complicated. I think most people feel that someone so mentally impaired or insane as to be completely unable to recognize right from wrong should somehow be treated differently versus someone who kills for money or for revenge. Similarly if the individual sincerely believes that they are shooting reptilian extraterrestrials and saving humanity. Are they fully responsible for the evil of their actions? Are they even competent enough to participate in their own legal defense? Yet I am certain that we would disagree in how to deal with such a person. The NY Times magazine section yesterday had a detailed article about Not Guilty By Reason of Insanity. The reality is that this plea is only very, very rarely successful. And when it is, the consequences of a successful plea of not guilty by reason of insanity are typically far worse for the accused than if they had simply been found guilty of a standard criminal conviction. There are no hard guidelines for when they are sane enough to be released and they often spend multiple-more years in institutions for the criminally insane than they would have if they had been sent to prison with a defined sentence. Prospective mass shooters seem to try to outdo the last record for people killed/injured. I sincerely hope that future killers realize the futility of trying to top the Las Vegas shooting. "Warmest condolences" is tantamount to "I'm glad you are dead". If you want to argue we should treat those with mental illness differently,I will be persuadable in many cases. The problem is that there are more ratings to be had in focusing on violence and criminal actions than in focusing on grief and loss. How about focusing on the actions taken by ordinary people in the midst of the incident that saved someone or helped an injured victim? Make their actions something to be emulated? Though of course there are the people like the last planned parenthood shooter who were not even found competent to stand trial, so he didn't get any defense. Of course they won't. You could have said the same after the Pulse shooting in Orlando last year. I stayed in a suite at Mandalay Bay that looked very much like that room. The bend in the building multiple windows, ( for a couple of bedrooms in the suite) and a view of the airport. Gun stocks and likely gun sales will be up because of this. As the song says "Always look on the bright side of death". Here's part of my position. "Profiles of shooters indicate that they are often socially isolated and suffer a pattern of ostracization or bullying, yet they tend toward narcissism (Fox & Delateur, 2013; Fox & Levin, 2013; Meloy, 2014). Many fantasize about revenge or murder, and that this type of fantasy is not unusual or “extreme.” Buss’s (2005) research indicates up to 90% of men fantasize about murder. What tips the scales from fantasy to reality? We would argue identification with prior mass shooters made famous by extensive media coverage, including names, faces, writings, and detailed accounts of their lives and backgrounds, is a more powerful push toward violence than mental health status or even access to guns. First proposed by Phillips (1983), the violent media contagion effect was largely ignored by criminologists and psychologists, but more recently the evidence of the power of copycat homicide is mounting." Wikipedia has identified a man they say is the perp's father who was on the FBI's most wanted list years ago. And when it is, the consequences of a successful plea of not guilty by reason of insanity are typically far worse for the accused than if they had simply been found guilty of a standard criminal conviction. There are no hard guidelines for when they are sane enough to be released and they often spend multiple-more years in institutions for the criminally insane than they would have if they had been sent to prison with a defined sentence. I would hope they are receiving appropriate care and that we wouldn't be able to classify it as "worse." ‘No Way To Prevent This,’ Says Only Nation Where This Regularly Happens - The Onion. Last edited by ceptimus; 2nd October 2017 at 09:48 AM. If so; what will that accomplish? Will it bring back any of those previously healthy people who simply wanted to enjoy a concert? Will it do anything to repair the families who are going to be hurting for the rest of their lives? Actions have consequences. Being mentally ill may make an action more understandable or somehow more easily accepted than "just pure evil" but at the end of the day it's not going to change the outcomes for anyone involved. I understand why people rob banks. Sometimes, I even think I'd do the same in some circumstances "Oh, your child needed a heart transplant, so you robbed a bank to pay for it? Yeah...I can imagine I might do the same...." But it doesn't make it okay. I feel for anyone with a terrible mental illness who thinks aliens are telling him to topple buildings or blow holes in their fellow hotel guests. I'm sure it's a terrible existence. But for the safety of everyone, everywhere, I have to draw the line and say "remove this person, and do not let him become anyone's hero" because the first loyalty has to be to those who are not damaged or broken. Those who are whole and healthy are the future of mankind, not the aberrations. I understand it's not very fair. But it's far less unfair then what his victims have experienced --which goes double if he was so far removed from reality that he had no clue whether he was in prison or paradise.